ABWA has been a school, which has always emphasized on giving global exposure to its students, so that they may know the different sections of the world and hence choose a place for the best of life from the sections of the globe. Several international trips as a part of globally conducted subject competitions or student exchange programme or internships or summer programmes are an integral part of the curriculum conducted at ABWA. 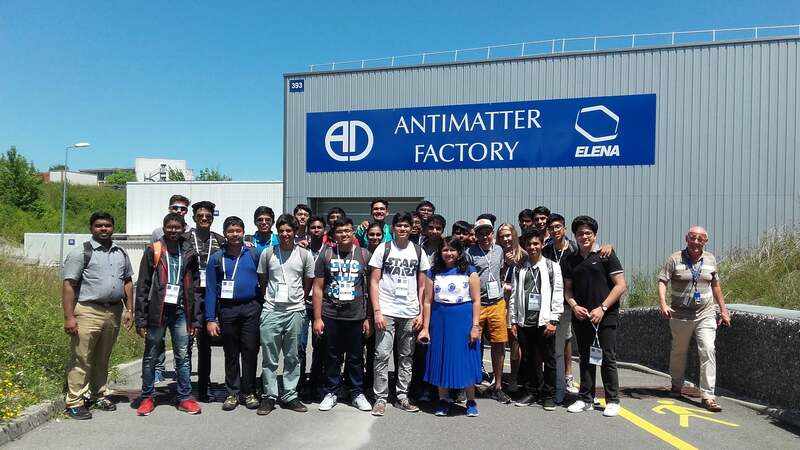 Trip to CERN is one such international trip which is arranged every alternate year at ABWA and this year, it was held between 17th June 2018 to 23rd June 2018. Under the able leadership of Mrs. Radhika Sinha (Principal) and Mr.Prodipto Hore (ABEA Programme Director) in association with Life Lab foundation, 7 students of Grades 11 & 12 from the IB and A level programmes, along with a teacher were able to participate in the week long event. The group departed on 17th June 2018, early hours and reached Geneva via Zurich after close to a 10 hours journey and was received by the members of the Life Lab foundation, Mr. Ivneet Singh and Ms. Prachi Jha. The students though tired initially, got into the gear as soon as they landed at Geneva. The Life lab team members had a whole list of instructions which they began to give as soon as they met the students, in need of the safety, comfortable stay and fulfillment of the activities planned for them. Hence they gave all the instructions regarding the use of public transport, facilities at the hotel, instructions related to the activities at CERN and so on. On the day the group reached, they were given a time to rest and asked to report in the afternoon for lunch and followed on with the city movement to give an experience of how to use the public transport, as for the next few days they were going to use them by themselves. 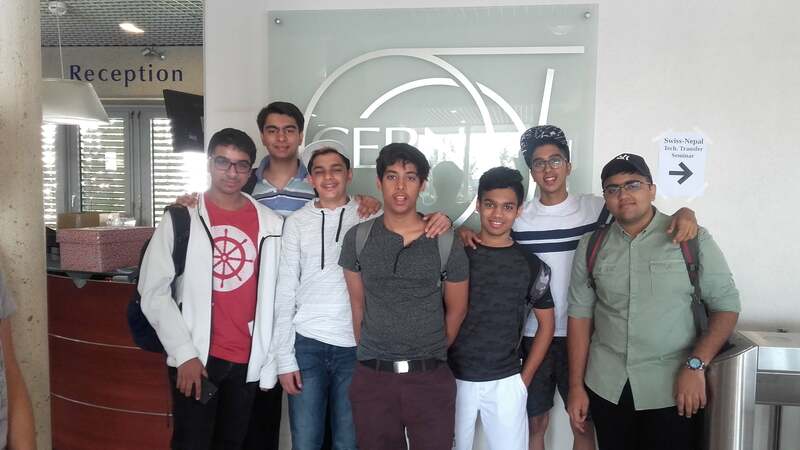 After, being fresh for the activities for the day and lunch, the group was taken to Gar Corniva where the Lake Geneva and many other places of sight seeing and shopping in the city were shown to the group and were brought back to the Hotel Holiday Inn Express where their accommodations were arranged. Though an official sight seeing could not be arranged in the iternary planned, with the help of the CERN members a trip to Chamonix mounts, was arranged on 20th June, 2018, which was an adventurous journey for students who went around clicking a lot of pictures of the beautiful snow filled mountains and the ice caves where they were taken. It was one of the places where the students shopped for lot of chocolates. It was a great day for all, but they never got tired with all the mountain climbing, or with the cable car travelling or in the mountain train, they were just ready for the next round of an adventurous evening. After the session on 21st June, the students were given an open end to explore Geneva through a game of TREASURE HUNT, planned and programmed by Dr. Mick Storr, which gave the students the details of in and out of the entire Geneva without being lost and were extremely happy with adventure of exploring the city by themselves. 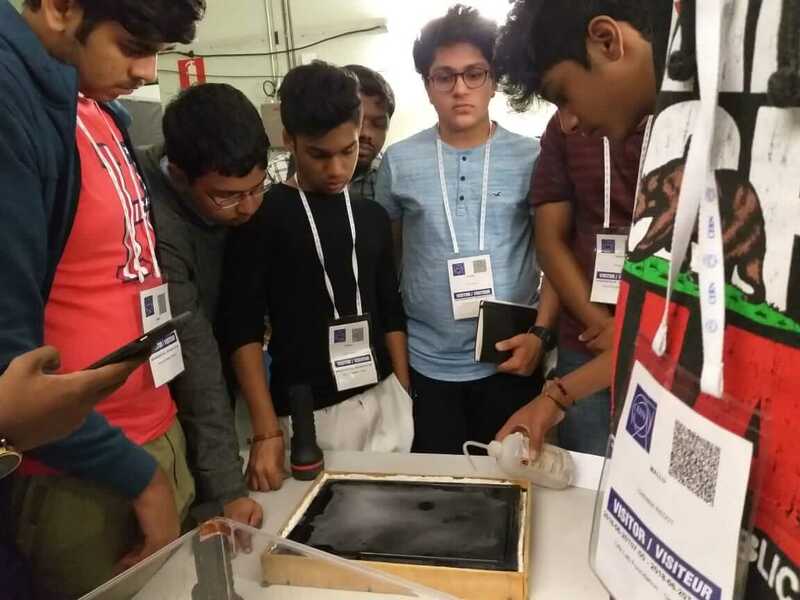 On the last day of activity which was on 22nd June the group were given an opportunity to make a “ BUBBLE CHAMBER” guided by Dr. Mick Storr, which is one of the primary methods of detecting the particles. 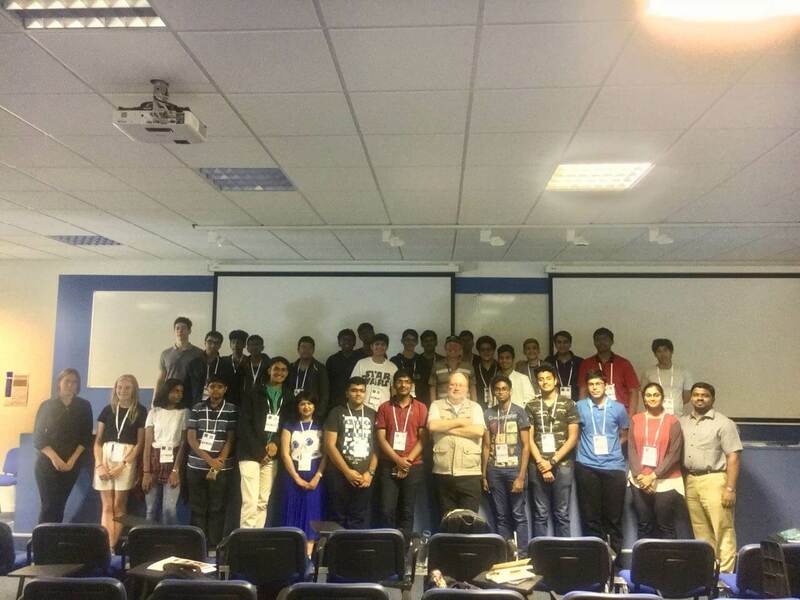 The feedback and responses to the questions put by Dr. Mick, convinced him that the visit was highly beneficial and hence he called them to be “ AMBASSASDORS OF CERN”. 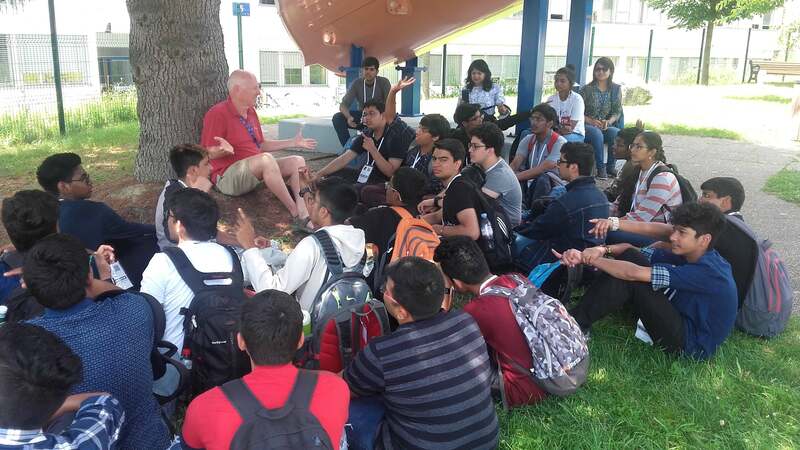 The CERN trip has certainly been an unforgettable event in each of the participants life. It will always be cherished by the students as an event where they were witnesses to a place, of one of the high profile experiments of the world. 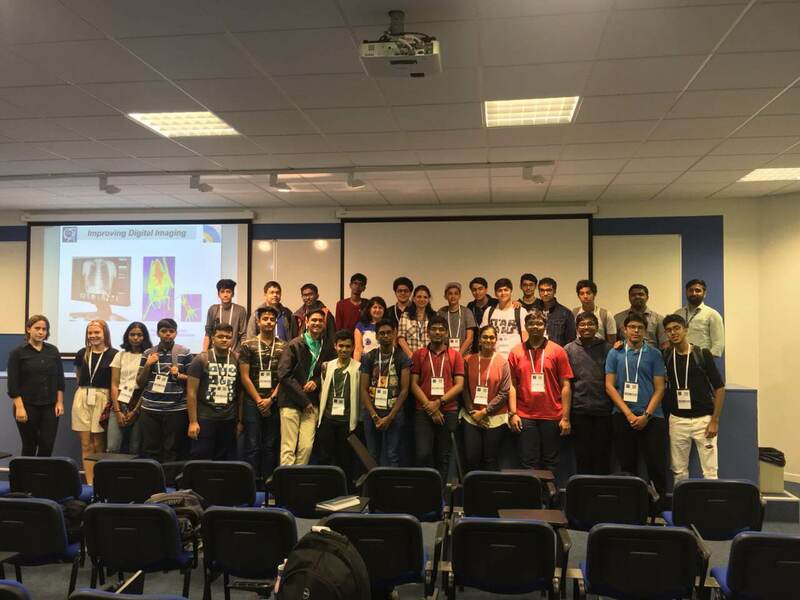 The students have certainly decided that they would wish to work at CERN as they get an opportunity as discussed with them on several occasions. The take back is not just memories of the days spent but an experience which has motivated them to be researchers and may be “SCIENTISTS” one day.